We have a fully-automated MOT test lane to accommodate cars, vans and motor homes. Tests can be carried out while you wait, available six days a week – by appointment only – whilst you sit comfortably in the viewing area. We are approved by VOSA to carry out MOT testing and repairs to class 4 IV vehicles. 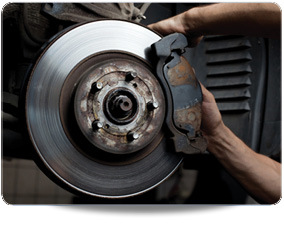 Should your car fail we can repair it on site; minor items dealt with immediately. Quotations available on request; swift efficient service to keep you mobile. All makes and models of vehicles, up to 3000kg, for example cars, taxis, 4 x 4s, small and medium vans and motorhomes. Free retests available depending on failure items – please book an appointment now! Your MOT can be carried out 30 days prior to expiry, help us to help you and book your vehicle in plenty of time; check you existing MOT certificate for anniversary date – it will help you find your earliest booking date. The MOT test takes 45 minutes, however please allow up to an hour in case any minor repairs needed. Please arrive at least 5 minutes before the start of the test (you can bring your car in any time from opening onwards and leave it for the day if you wish). Class 4 IV; cars, small commercials, mini-vans, motor homes and 4 x 4. What’s checked in the MOT? 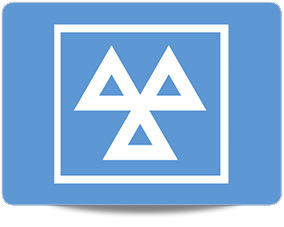 The MOT is designed to check that your vehicle meets road safety and environmental minimum standards. You should be aware that the MOT certificate is not a guarantee of the general mechanical condition of your car – you should have your car serviced regularly to maintain its mechanical condition. What can I do to help my car pass its MOT? Many MOT failures could be prevented by drivers carrying out some simple checks before bringing their vehicle in. Common faults include light bulbs, tyre condition and pressure, mirrors, wipers and washers etc. If your vehicle fails the MOT it must be repaired and retested. You cannot legally drive your car on the road until the repairs have been made and a certificate issued. Some repairs can be carried out the same day, but we will always advise you upfront about any work that needs to be done. Is there a charge for a retest? If we are able to repair your car ourselves at the test centre or minor repairs returned within 24 hours there is not retest fee.